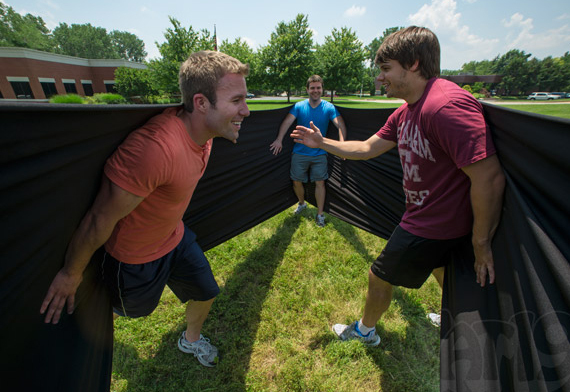 Looking for something fun to do with 3 other friends this weekend that may or may not result in a broken nose? You could get drunk and play punchies again… OR you could fling each other around with a giant slingshot band. To play you need four players to form a square inside of the band. Next, two players run towards each other while the other two stretch the band. Once resistance is built up the next pair is slingshotted towards each other. Then repeat that until someone either falls out backwards or slams into another person and breaks their nose… or if alcohol is involved, until someone projectile vomits. 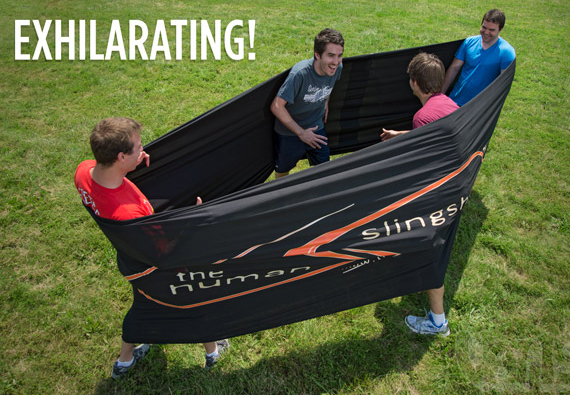 Watch the video to see the Human Slingshot in action.